The documented history of Panama goes way back into the 15/16th century when the Spanish Conquistadors were conquering Central America. Yet, the Isthmus of Panama was inhabited long before that period by local Indian tribes such as the Guna’s, Cuevas and Cocle. 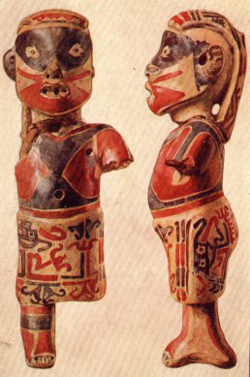 These pre-Colombian tribes lived everywhere in the country and also on the Pearl Islands. 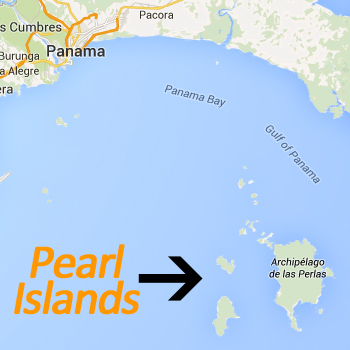 Especially the Cuevas and Cocle cultures dominated the Pearl Islands which weren’t named yet. Unfortunately all these cultures have mostly vanished of the earth because of the discovery of the islands by Nunez de Balboa in 1513. After that time period most of the native tribes were exterminated or enslaved to search for pearls.The Spanish sub-missed the tribes in brutal ways and infected them with New World diseases such as a simple cold, which was lethal for the natives. 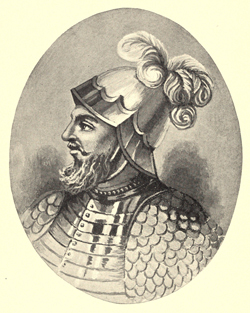 The Spanish conquistador Nunez de Balboa was searching for hidden treasures in Panama and found some of them on the islands in the Bay of Panama. These natural treasures were of course the pearls of which the islands are still famous for. These tiny and expensive gemstones fulfilled the Spanish lust for treasures and expanses to bring back to Spain. Around 1516 the Spaniard Gaspar de Morales enslaved most of the native island tribes and forced them into pearls searching. The Spanish envy for these white round gemstones was growing and they even imported slaves from Africa to the islands. Most of their descendents can still be found on the islands San Jose, Del Rey, Senora, Pacheca and Lampon. This black page in history also gave the islands its present name “Pearl Islands or as locals refer to it Las Perlas”. Because there are over 250 Pearl Islands it was easy to hide for colonial police ships and other criminals. In the 17/18 century the islands where mainly used by pirates and other criminals that raided passing ships and the mainland. But at the end of the 18th century most of the islands were deserted and left for nature to reclaim. The 1960s was one of the first decades in the world that people actually went on a holiday outside their own country. For the rich and the famous it was possible to journey even further to the shores of Panama and beyond. This started a new flow of income for Panama and the plans for the first hotels and resorts on Contadora were made. In 1972 the first resort on Contadora Island was open for business and is still operating today. In 1979 the exiled Shah of Iran took refuge on Contadora and suddenly the Pearl Islands became world famous. The Pearl Islands became a place of tranquility and luxury for the rich and the famous. This lasted until around the year 2000 when the first budget hostels and places to stay were built on the islands. Nowadays it is even possible to book a cheap ferry from Panama City to various Pearl Islands. As of today the islands are one of the top destinations in Panama for viewing exclusive wildlife such as dolphins and humpback whales, relaxing on deserted beaches and enjoying luxurious five star hotels/resorts or cheap hostels. The Pearl Islands are open for every explorer and the dense jungles on Isla del Rey can’t wait to be conquered again.